Limited edition of 2000 copies. 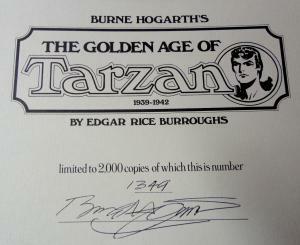 Signed & Numbered (#1349) by Burne Hogarth Includes essays by Hogarth and Maurice Horn. 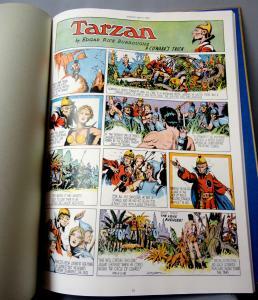 TARZAN Sunday Pages from 1939 - 1942 Illustrated by BURNE HOGARTH. 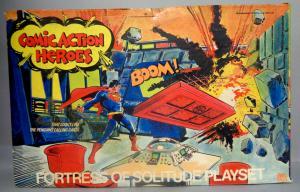 Poster print not included. 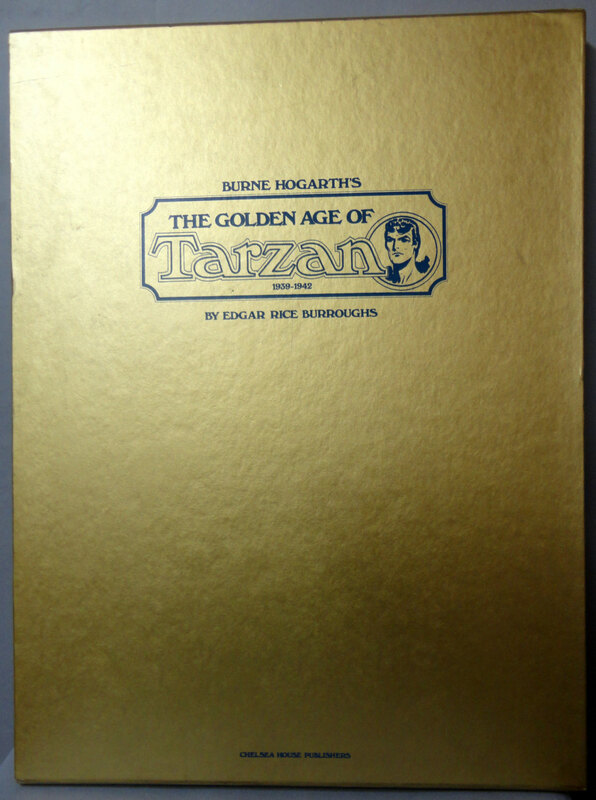 CONDITION- Slipcase and Book are in VF Condition with very minor surface wear from being read, handled, stored & moved. Very minor superficial wear & rubbing to slipcase. Please refer to scanned images... they truly are worth a thousand words. 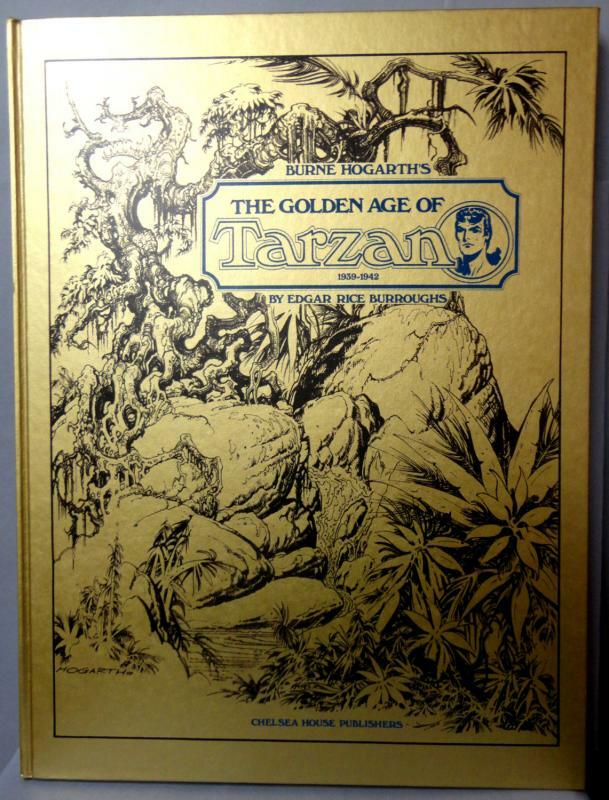 was an American writer, best known for his creations of the jungle hero Tarzan and the heroic Mars adventurer John Carter, although he produced works in many genres. Burroughs was educated at a number of local schools, and during the Chicago influenza epidemic in 1891, he spent a half year at his brother's ranch on the Raft River in Idaho. He then attended the Phillips Academy in Andover, Massachusetts, and then the Michigan Military Academy. Graduating in 1895, and failing the entrance exam for the United States Military Academy (West Point), he ended up as an enlisted soldier with the 7th U.S. Cavalry in Fort Grant, Arizona Territory. 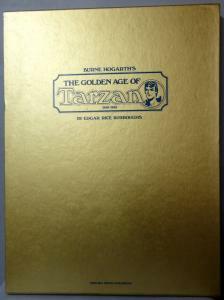 After being diagnosed with a heart problem and thus ineligible to serve, he was discharged in 1897.
is a fictional character, an archetypal feral child raised in the African jungles by the Mangani great apes; he later experiences civilization only to largely reject it and return to the wild as a heroic adventurer. 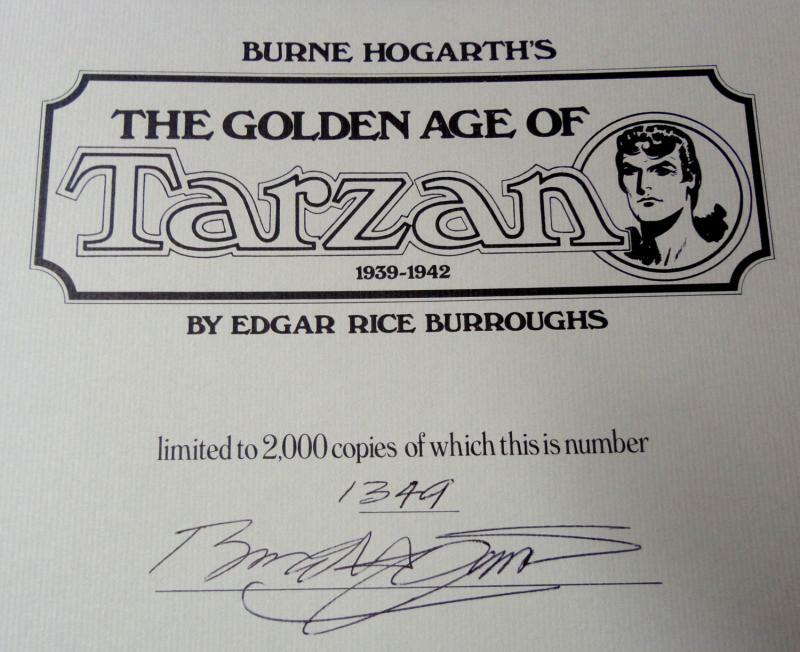 Created by Edgar Rice Burroughs, Tarzan first appeared in the novel Tarzan of the Apes (magazine publication 1912, book publication 1914), and subsequently in twenty-five sequels, three authorized books by other authors, and innumerable works in other media, both authorized and unauthorized. was born in Chicago in 1911, the son of a housewife and a carpenter. His parents were immigrants from Eastern Europe. He displayed an early talent for drawing. His father saved these efforts and, some years later, presented them and the young Hogarth to the registrar at the Art Institute of Chicago. At age 12, Hogarth was admitted, thus embarking on a long formal education that took him through such institutions as Chicago's Crane College and Northwestern University, and New York City's Columbia University in New York City -- all the while, studying arts and sciences. Due to his father’s premature death, Hogarth began work at age 15, when he became the assistant at the Associated Editors Syndicate and illustrated a series called Famous Churches of the World. 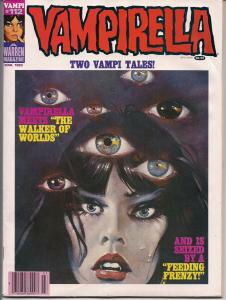 He worked for several years as an editor and advertising artist. This work provided steady (and, by 1929, crucial) employment. 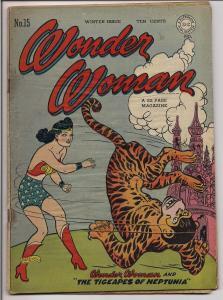 In 1929, he drew his first comic strip, Ivy Hemmanhaw, for the Barnet Brown Company; in 1930 he drew Odd Occupations and Strange Accidents for Ledd Features Syndicate. As the Great Depression worsened, Hogarth relocated to New York City at the urging of friends. He found employment with King Features Syndicate in 1934, drawing Charles Driscoll’s pirate adventure Pieces of Eight (1935). In 1936 came the assignment that catapulted Hogarth’s illustration career. 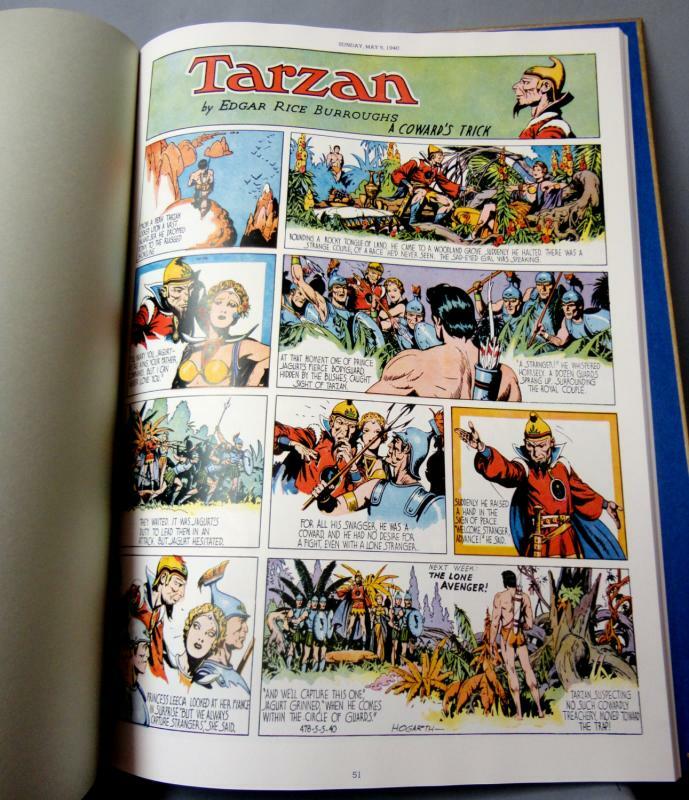 With Tarzan, Hogarth brought together classicism, expressionism and narrative into a new form of dynamic, sequential art: the newspaper comic strip. 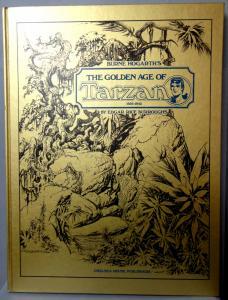 Hogarth drew the Tarzan "Sunday (newspaper comic strip) page" for 12 years (1937–45; 1947–50). 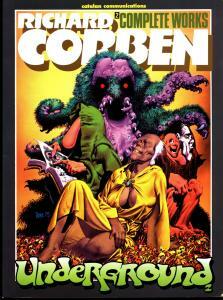 This work has been reprinted often, most recently by NBM Publishing.